I like paying some extra attention to my hair without it taking too much of my time. As I wash it almost every day, I use quality products, which keep it in good condition. 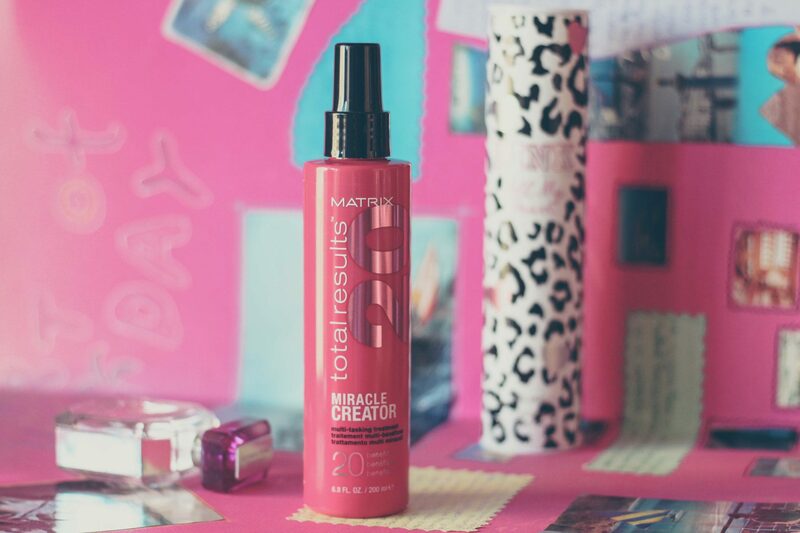 Here’s what I’m using at the moment – a Matrix spray with over 20 essential qualities, which is suitable for absolutely every hair type. Among its many favourable benefits are that it nourishes, boosts shine, smoothes the cuticle, helps prevent breakage from brushing, adds moisture, helps prevent heat damage, helps fight frizz, helps even out porosity, minimizes damage, detangles, reduces dryness, conditions lightly, controls flyaways, controls flyaways, helps prevent split ends, helps soften, makes blow dry process easier, helps correct roughness, helps shield against external aggressors, improves manageability, primes hair for styling. I personally see the biggest effect right after I dry my hair. I spray a little bit on the hair ends which makes combing easy immediately. My hair becomes soft, shiny and fresh-looking. If your hair is damaged results could be visible after at least a month of regular use. The spray’s scent is delicate and very pleasant.